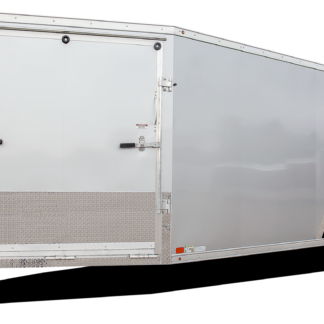 The ATC Raven Snowmobile Trailer is your reliable, long lasting solution. Seven Reasons to buy a trailer from Toppers and Trailers Plus? #1: Our 30 years of experience. 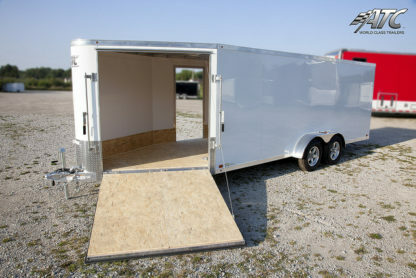 #2: We go to the DMV and transfer the title of the trailer in you name and get proper trailer license. #3: We stock all the necessary trailer parts for your trailer or can get them within a very short time. #4: We carry a full line of towing items. #5: We make sure you have all necessary items and that its in working order to tow your trailer. 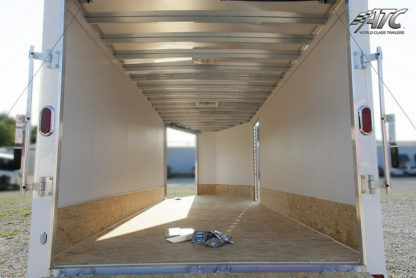 #6: We can DOT certify your trailer. #7: Our technicians are trained in trailer service and repairs. We stand behind our quality work.